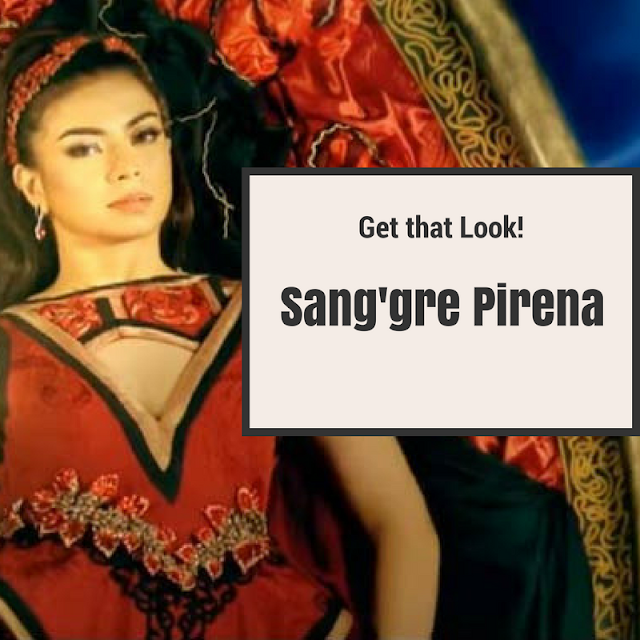 Sang'gre Pirena, The eldest Daughter of Queen Mine-a of Lireo and King Hagorn of Hathoria. She is Half-Fairy and Half-Hathor, known to be miners and blacksmiths. She is the Keeper of the Gem of Fire, that gives her the full control of fire and heat. She was raised by her mother together with her half-siblings, Amihan, Alena and Danaya, whom she thought to be rivals for the Lirean throne; her ambition to succeed her mother of becoming the next Hara (Queen) of Lireo and Encantadia. She is the only daughter among the four siblings to have a personal nanny, Gurna, who helped raise and manipulate the young royal blood against its own family. Pirena known to many was the most knowledgeable, sharp-minded and skillful. Pirena's intelligence is often shown to manipulate deceive and thorough planning before launching itself to her next quest; making sure her plans will succeed without fail. Pirena is truly kindhearted and only seeks for love and recognitions especially from her mother; which she easily covers by showing her proud, arrogant and downgrading exterior to anyone she encounters. Pirena's characater is prominent for those who love's RED; and is reflected in the Red Personality; having RED as her dominant color that reflects right portrayal. Now, We have just profile who Pirena is in the world of Encantadia, brace yourself was her character will give a new light in the real of human world.